It’s that time again for the Del Mar Electronics and Design Show in beautiful San Diego CA. 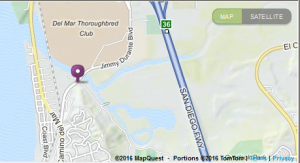 Del Mar is a horse race track/Fair grounds 20 miles North of down town San Diego. The 5 Freeway will be clearly marked which is the best exit to take. You can’t miss it! If you attended last year’s show, you will remember where we were, but as a reminder, we are again in the Main Registration building between the two Exhibit buildings. We will have the booth manned from Wednesday am through Thursday pm with specific announcements on Twitter, so be sure you are signed up (Sign-up on your cell phone) to receive my Twitter posts! So, what terrific things are you going to see at our booth .. I’m glad you asked? Remember that expanded model line 120 x 38 series? If you have not sold any yet, you will get the chance to see all the models: the YW ,XYW, the XYW-S and –P. We covered that series in our November Blog of last year (Ref: https://www.ystechusa.com/blog/ ). You will also get a chance to examine, up close our new EC Motor design. The Power AC Fan We introduced that design last June. The new motors are candidates for any manufacturers in the refrigeration, HVAC, household appliances, Telecommunication and data center cooling industries. Don’t forget to ask me about them! Last October I wrote a rather long Blog detailing our basic bearing system choices: Sleeve, 2-Ball, and the Sintetico II. If the graphics were too small for you to get a good idea of what these bearing systems really look like, I should have some examples with me at the show, which you can review up close to increase your understanding. That type of details will come in handy when you’re in front of that inquisitive Engineer that wants to know why your bearings are as good as any other and better than most! Here’s a product we produce that has a little different twist to it! We actually HEAT a heat sink, then use our fans to spread the heat, to keep food warm. So you see, we can go either way and use some (basically) off the shelf components to produce a custom assembly for customers. Stop by and take a look. We’ll have some heat sink examples to see too. Oh hey, I just about forgot to mention that I’ll have examples of the new LOW NOISE fan models we discussed last September. The YW06025, EYW08025, YW09225 and KM12025! Everybody seems to want maximum cooling with minimum fan noise – a difficult parameter to meet, but we are able to really give our competition a run-for-the-money with these new models! Don’t miss seeing these guys up close, and hearing … little to nothing!